There was a press conference for the drama "Four Men" on the 11th. Director Jang Tae-yoo, actors Park Hae-jin, Nana, Kwak Si-yang, and Jang Hee-ryung were present. Park Hae-jin said, "I thought Nana looked very beautiful. She looks bright and I don't worry about working with her". Nana said, "I thought of Park Hae-jin as a cold person before I met him, but he makes me so comfortable. He has good manners and he's so gentle. He jokes around sometimes, so it won't be a problem to work with him". "Four Men" is a fantasy romance drama about a man whose purpose in life is to survive, a man who looks for the answer to people in love, and a woman who is in the middle of all this. Park Hae-jin plays four roles alongside Nana, Kwak Si-yang, Lee Ki-woo, Park Geun-hyung, Kim Chang-wan, So Hee-jung, Jang Hee-ryung, Nu'est's Ren (Choi Min-gi), and more. Director Jang Tae-yoo created the hit dramas "War of Money", "Painter of the Wind", "Deep-rooted Tree" and more. "Four Men" will begin later this year. 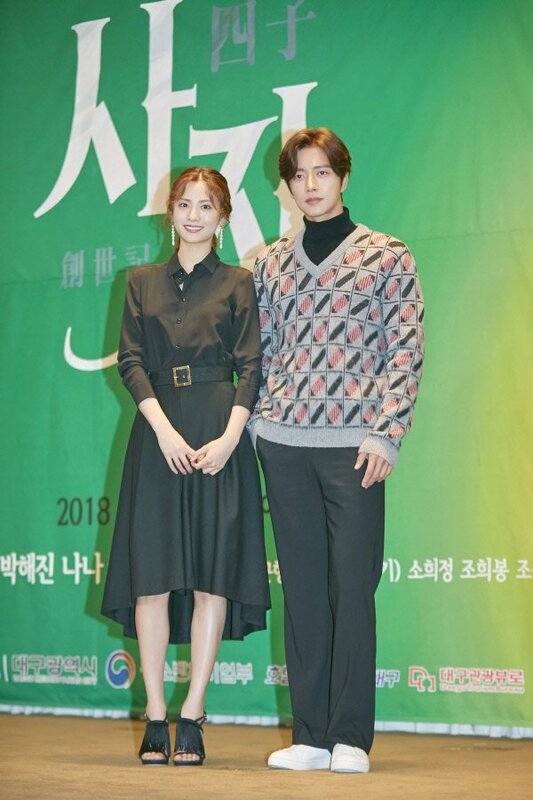 "Park Hae-jin and Nana Attend "Four Men" Press Conference"